The speaker shown in this video is a Cardratings employee. Her opinions are her own. Chase is a Cardratings advertiser and may compensate Cardratings. The Ink Business Cash℠ Credit Card is subject to terms and limitations, which can be found here. If you're a business owner looking for a cash-back rewards card that rewards you for actual business spending plus comes with a low APR, flexible rewards and no annual fee, the Ink Business Cash℠ Credit Card is for you. Plus, new card owners can take advantage of bonus cash-back offerings and a 0 percent APR on purchases in the first 12 months of card ownership (then, 15.49% - 21.49% Variable). Earning cash back for business spending is easy with the Ink Business Cash℠ Credit Card. Even easier for new cardholders who can earn $500 in bonus cash back after spending $3,000 on purchases in the first three months of opening an account. 5 percent back on the first $25,000 spent annually in combined purchases at office supply stores, as well as on cellular, landline, internet and cable television services. 2 percent back on the first $25,000 spent at gas stations and restaurants each account anniversary year. Unlimited 1 percent back on all other purchases. Once you earn 2,000 points, you can redeem those points for a statement credit or an electronic deposit to your checking or savings account. Points can also be redeemed for gift cards and travel, but for those redemptions each point is worth a penny, so you have to earn 100 points to receive $1 in redemption value. 0 percent APR for the first 12 months on purchases (then, 15.49% - 21.49% Variable). Points don't expire as long as your account remains open. Cards are available for your employees at no extra charge, plus you can control spending limits while also earning points on those purchases. Access to the Ink Mobile App so you can avoid surprises with instant purchase alerts, while also allowing you to file receipts and manage employee spending. Purchase protection and extended warranty protection. Auto rental collision damage waiver so you can decline collision insurance when renting a car. This card is routinely among our top picks for small business credit cards without an annual fee thanks in large part to its rewards of as much as 5 percent cash back in popular small business spending categories. Capitalize on a 0 percent intro APR on purchases for 12 months (then, 15.49% - 21.49% Variable). It's a nice feature for a business owner with some start-up costs or a major purchase on the horizon. New cardholders can jump start their rewards earning with $500 bonus cash back after spending $3,000 in the first three months of card membership. Be mindful of the cap on bonus cash back. If you know you'll spend more than $25,000 in the 2 percent and 5 percent categories, you might consider adding the Ink Business Unlimited℠ Credit Card to your wallet so you can earn 1.5 percent cash back on the non-bonus category purchases or on those purchases after you hit the spending cap. As a business owner, the ability to earn cash-back rewards on purchases related to your business, including internet and phone services, can mean just a little extra padding on your bottom line - or at least the chance to feel a little better about purchases you'd be making anyway. The added benefit of having cards for your employees, where you can also manage their spending, helps you stay on top of all business expenses. The no annual fee is also a great perk of this card. That, along with no APR for the first 12 months of card ownership for purchases (then, 15.49% - 21.49% Variable), means this could be a solid choice for new business owners funding start-up expenses or perhaps business owners who have a bit of debt they need to consolidate. That said, it will be important to pay off your card each month or any rewards you accumulate will quickly be absorbed by interest charges after your intro period ends. Having a business credit card is likely an essential part of your small business success, but it also shouldn't be something that requires a lot of your time and attention. Simple rewards-earning opportunities and numerous other tools make this card worthwhile. The Ink Business Cash℠ Credit Card offers straightforward tiered rewards, but you'll need to take a realistic look at your business' spending to determine whether the card is right for you. If you don't spend in the 5 percent category (or if you spend well over $25,000 on those purchases), this card won't bring in maximum rewards for you. Be honest about your spending habits in order to determine whether this card is right for you. Furthermore, a 3 percent foreign transaction fee also applies to purchases made outside of the U.S., making it not the best card if you travel internationally for business. 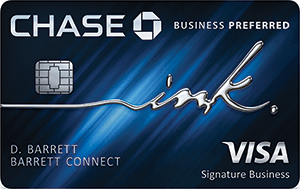 The Ink Business Cash℠ Credit Card has no annual fee compared to the $39 annual fee for the Capital One® QuicksilverOne® Cash Rewards Credit Card. Rewards are simple to navigate with the Capital One card, with which you earn 1.5 percent cash back on every purchase; whereas, the Ink Business Cash℠ Credit Card offers varying percentages back based on categories and the rewards are tracked as points. Additionally, there is no minimum for redeeming your rewards with the Capital One® QuicksilverOne® Cash Rewards Credit Card compared to the Ink Business Cash℠ Credit Card where you have to earn 2,000 points before you can redeem your rewards. Both cards come with no annual fee and a 0 percent APR introductory period (12 months for the Ink Business Cash℠ Credit Card and nine billing cycles for the Bank of America® Business Advantage Cash Rewards Mastercard® credit card before a 14.49% - 24.49% Variable APR on purchases for the BofA card). That intro period alone could figure into which card is a better option for your business. They both also have the drawback of a 3 percent foreign transaction fee. That's where the similarities end. The Bank of America® Business Advantage Cash Rewards Mastercard® credit card rewards come at a slightly lower rate, but with a higher spending cap: 3% at gas stations (default), office supply stores, on travel, TV/telecom and wireless, computer services or business consulting; 2% cash back on dining (for the first $50,000 in combined choice category/dining purchases each calendar year, 1% thereafter); and 1% cash back on all other purchases. You can also cash out the Bank of America® Business Advantage Cash Rewards Mastercard® credit card rewards sooner – once you earn $25 you can redeem them for a statement credit or a deposit to your checking or savings account. The Business Green Rewards Card from American Express has a hefty annual fee of $95 (See Rates and Fees) compared to no fee with the Ink Business Cash℠ Credit Card (American Express is a CardRatings advertiser). 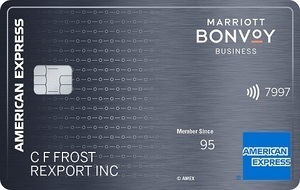 Additionally, the Business Green Rewards Card from American Express is a traditional charge card where you'll need to pay off the balance in full each month, eliminating interest which saves money in the long run, but you'll have to decide whether your business is one that can operate with a card that doesn't feature the option of carrying a balance. Both cards use a point system for earning rewards, with the Business Green Rewards Card from American Express, cardholders earning one point for each $1 spent on eligible purchases and double points on eligible purchases made when you book travel through the American Express Travel website. This is a good card for business owners who have substantial expenses from office supplies to internet, cable and phone services. The more you spend, the more you earn and those higher points can be redeemed for cash rewards or other products and services that support your business needs or bottom line. With no annual fee, and the ability to control employee spending and limits, this card is a good option for business owners who want to effectively and efficiently manage spending, while earning money back that can be reinvested into their business.